Part philosophy, part informative. Enjoy! Art, in my opinion is anything that evokes an emotion… a broad definition indeed! But, in this column, and in future columns, we will explore this idea further. Some say, “Art… I’m not into it. I only like sports.” If that is the case, then be aware that artisans are involved in every aspect of sports. Graphics artists design the logos and colors on a baseball jersey and architects create the immensity of a stadium. What would it be like if the band was absent at your high school’s football game, or if you saw a film with no music? What if the fashion was taken out of your “Fashion Cuisine?” Something would certainly be missing. Your life would be without art! My interests are rather varied. First and foremost, I am a formally trained musician and composer. My musical path has led me to collaborate with producers, choreographers, playwrights and publishers. I’ve learned something from each and every one. In addition, my days are enriched by photography and iPhone artistry (see above photo), wire-wrapping jewelry, travel, movies, museums and concerts. I look forward to sharing these interests with our readers. Art surrounds you. The Wellington community takes pride in its beauty. If you see a horse grazing outside of one of Wellington’s many barns, enjoy it for the moment, then take a mental photo. Try to absorb the colors of the fruit and vegetables at the green market. Embrace it. You may say, “I’m not an artist.” But, if you’re capable of embracing it, it’s a start. Most importantly, there’s an ART to living. It takes great craft to simply apply patience, kindness, compassion and good manners to those involved in our everyday lives. Doing so will reflect back onto you. It will evoke emotions greater than any painting, sculpture or music. Try it, you’ll see! Annie Leibovitz at the Norton Museum. LILA PHOTO. Mikhail Baryshnikov and Mark Morris, New York City, 1988 © Annie Leibovitz. 1) See: The ANNIE LEIBOVITZ exhibit at the Norton Museum. This is a once in a lifetime opportunity, as these extraordinary works will never be shown together as a collection again. Exhibit ends June 9, 2013. For more information go to: www.norton.org. 4) Experience: The Kravis Center’s Rinker Playhouse. This venue has top-notch entertainment at highly affordable prices. 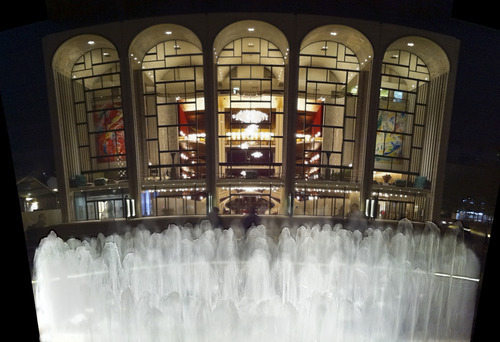 My picks for April: The Capitol Steps and Spellbound Dance Company. For more information go to: www.Kravis.org. 5) Watch: If you missed them in the theaters, most of the Academy Award contenders are available for DVD rental or purchase by April 16. Please be sure that all films are age appropriate for viewers in your household. To see a film’s rating and description by genre and date of availability go to: www.moviefone.com/dvd/coming-soon. Lori Baumel and her husband Eric Baumel live in Wellington and have three grown children. Their eldest, Sam, 26, is a media producer who currently resides in (extremely hipster) Brooklyn, NY. Rachel, 23, and Evan, 21, wrote the Around Wellington “Teen Talk” column in previous years. Eric has practiced radiology in Wellington since 1991. His many talents include artist, cook, photographer and, recently, medical app developer. You can learn more about Lori at www.loribaumel.com and read her blog at www.grownupcamp.tumblr.com. I have begun a new venture as the Cultural Arts writer for Around Wellington Magazine. 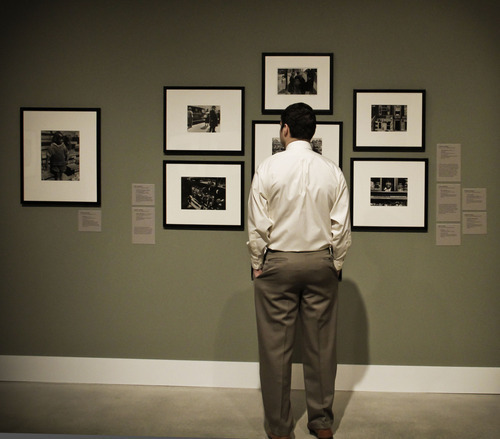 Here’s my first story about the NY Photo League exhibit at the Norton Museum of Art.